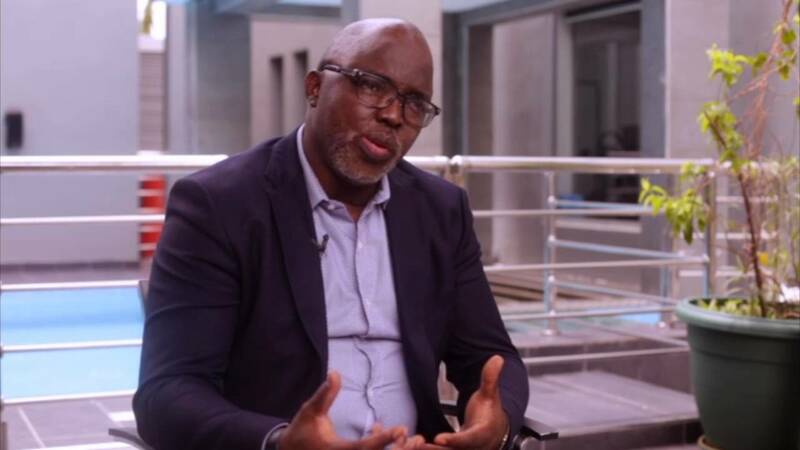 Last week Pinnick Amaju won his re-election into the office of the president of the Nigeria Football Federation. The election was strategically taken to Katsina, the state capital the where President Muhammadu Buhari comes from. With the support of the Presidency through Vice President Prof. Yemi Osinbajo, no ‘wuru’ ‘wuru’ could take place to truncate the process. This was the first time the election into the board of the Executive Committee of the NFF was held and the incumbent president would be returned to office successfully. Before 1993, government appointed all the members and Chairman of the Board. Amaju thus becomes the first second-term President of the NFF in history. 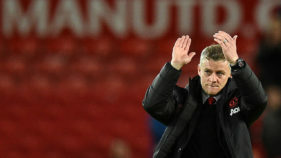 Undoubtedly, with the performance of his board in successfully attracting more private sector partnerships to football, he deserved a second term. In that regard, the achievement of his board is almost unprecedented.In the area of developing the game through the domestic leagues many stakeholders still think there is still a long way to go and that should be the main focus of the board this time around. Amaju has pledged that he would not seek a third term when the current tenure expires at the end of the 2022 World Cup, which again will mark the success or failure of this regime. He should keep to that promise and put in place a proper statute of the NFF that will avoid the past pitfalls during elections. His current positions in CAF and FIFA will surely provide him with the ammunition to take Nigerian football administrators into various committees with higher responsibilities and experiences that will benefit the Nigerian football in the long run. The irritating and distractive matter still pending in a Nigerian court, with the non-vacation of a decision of a high court, an albatross may still hang around the neck of the new board until a way is found to appease the disgruntled stakeholders and to bring them back into the fold one way or the other. Luka Modric as FIFA Player of the year. There are two reasons why Luka Modric was awarded the FIFA Player of the year 2018 this past week. The first is that there is a global Ronaldo/Messi fatigue in the award of the world’s best player. After 10 years of monopolising the awards between the two players, the world needed a break. 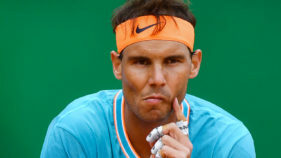 The second is that both players underperformed at the 2018 World Cup.So, the world was ready to accommodate a new name and face even if the player will not even come close to being as good as those he was to succeed. The most anticipated natural successor to the throne, Neymar Junior, was a disappointment, both at club (PSG) and the national team (Brazil) levels. The much-talked about and probably most improved player in the World during the period, Mo Sallah, of Liverpool and Egypt, fell to a bad injury close to the start of the World Cup, and never recovered well enough during the World Cup to deserve the award.There was no other player in the horizon. Not even Hazard, Mbappe, Suarez, or Kane. So, it was to a 32-year old player that contributed to the success of Real Madrid’s European Champions League victory, and led Croatia to the finals of the World Cup following a very gutsy performance that took them to the finals, that the luck and honour fell.In terms of talent and exceptional performance, such as those that kept Ronaldo and Messi at the apex of World football for over a decade, Modric did not even come close. But the world has to accept him as it did when Brazil’s Kaka was also declared the World’s best player in the absence of truly exceptional players well over a decade ago. Modric’s emergence hopefully puts a lid on the dominance of two of the best and most impactful players in the history of the game, even though I still think that Lionel Messi may have one more trick up his sleeves.In a year that does not have the World Cup as a gauge for performance, I will not rule out another possible Lionel Messi moment of magic, one that will finally separate him from Ronaldo as the greatest of all time. Modric is just a punctuation mark in the list of the world’s best players in 2018. Neymar, Mbappe, Hazard, Sallah, Kane, are fast on his tail. In Nigeria they are almost synonymous. They are, indeed, inseparable. The man that introduced the sport to Nigeria is the man that also became its association’s first chairman. The sport is cycling, the man is Rev. Moses Iloh. Cycling is still alive and kicking in Nigeria, but last week, the man died! I first came close to him when we both served in one of Governor Bola Tinubu’s transition committees that I headed in 1999. That he was older meant nothing to him. He just accepted the responsibility and worked as hard as the rest of the younger members in the team. He was a fantastic orator, a brutally frank man and a man whose every word is an exaltation of probity and integrity. After that he became my friend and a guest on several of my television shows. We worked together in several other sports committees of government through the years.He was influential in the construction of the only velodrome in Nigeria, a most beautiful structure inside the National Stadium complex in Abuja, visible with its unique conical rooftops hugging the sky at the entrance into Abuja. Only yesterday, in the city of London, the thought of him and the sport he introduced into Nigeria came to my mind as I drove round the city and saw the massive ongoing road-renewal construction work everywhere, plus the thousands of cyclists dashing all over the city on bikes.Roads are being widened and/or redesigned to accommodate new and independent lanes for cyclists all over the city. People are encouraged to take cycling as an attractive alternative means of transportation for its multiplicity of benefits beyond sports. It is a potent health catalyst; it reduces the national health bill by improving the state of health of the average citizen; it keeps pollution levels in the city very low; it decongests the city centre by reducing motor traffic; and it stimulates a whole new bicycle economy. There are cycle stations now everywhere in London, for rent and for free parking.London is steadily on its way to become like several Scandinavian cities that have effectively used cycling to stimulate the evolution of eco-friendly cities. At least one African city may also be towing that line. Some years ago, I ran into a group at the Jomo Kenyatta University in Nairobi working on the urban renewal of the city of Mombasa on the Indian Ocean coastline of Kenya.One of the major introductions to the designs of the urban planners was a new park, running paths and cycle lanes in several parts of the town. Rev. Iloh saw all these and more and ‘preached’ them through the years. I must admit that even I myself failed to capture his full vision until now. Last week the reverend gentleman returned home to his Creator having served mankind well through his work in sports, in church and humanitarian work. Thank you and goodnight Rev. Iloh.